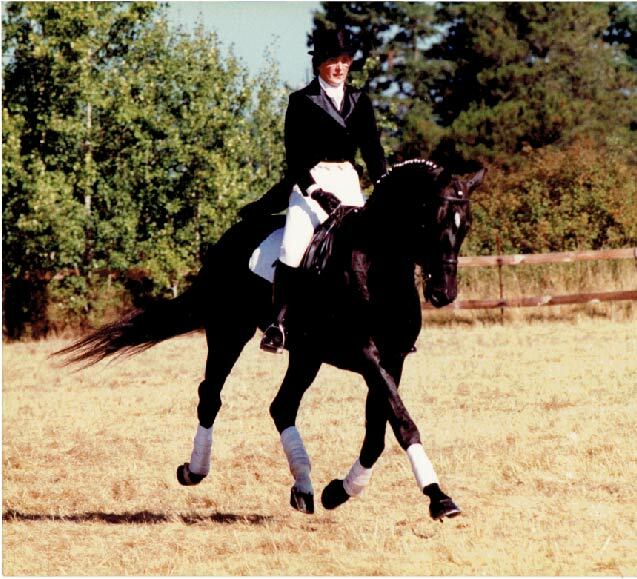 With over 40 years of experience teaching dressage, hunter and basic horsemanship, I can help you achieve your equestrian dreams. I offer riding lessons for advanced to beginner level riders from ages 10 through adult in a variety of disciplines including basic horsemanship, dressage and hunter. Take lessons on your own horse or ride one of mine. Longing to get back to riding but not sure if the time is right? Riding doesn’t need to be just a fond memory. We’ll start off easy to develop fitness and refresh your basics, then progress to dressage and/or hunter lessons. Progress at your own rate. All beginner riders are started in private lessons to ensure a safe and confidence-building start. Progress at your own rate on reliable, well-schooled horses. Learn how to develop a trusting relationship between you and your horse on the ground and under saddle. Unable to commit to a once weekly lesson program? Take the opportunity to fill in on lesson spaces when my full time students are on holidays. Check out the Casual Lesson Opportunities page for available dates and times. Roddy, Sadie, Pal and Rhui are currently available for part lease. Go to our Horses For Lease page for more information. Contact me to set up a trial lesson.